The current logo has given us an identity to hold onto through the beginnings of this fork. With the phoenix rising from the ashes of an upsetting past that caught many of us by surprise, it represents the love we've put into this new project built on strong beliefs. The strength of this struggle is reflected in the wing spread and scream of the phoenix emerging from the O shaped dedication to its quake roots. However strong, this logo has its weaknesses that I will list and attempt to address below. I'm not saying any of these are the right solution or even headed in the right direction but they are more techincally sound in the areas I described above. We've saved the source files along every step of the way, I've included some below. 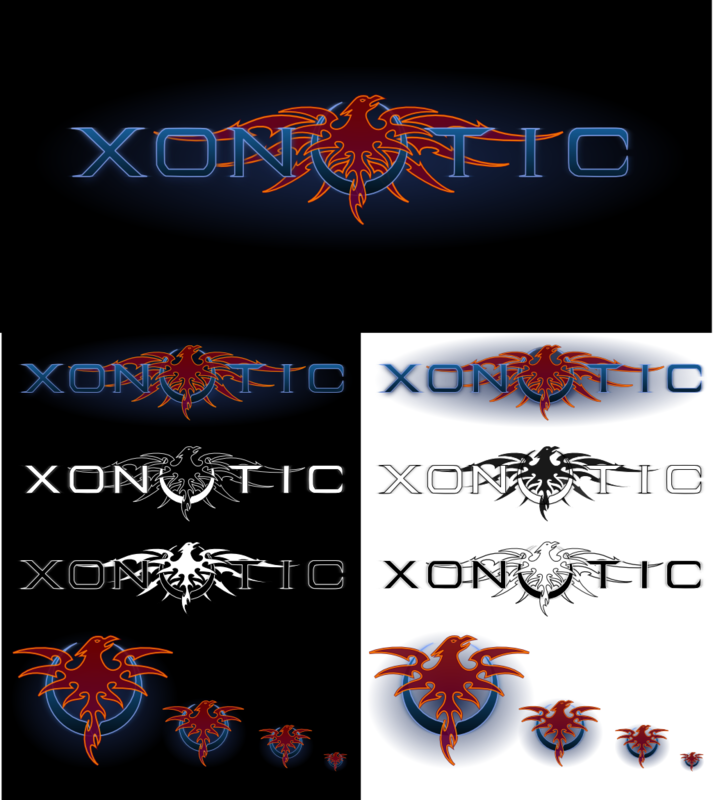 What do you think about these logo ideas? 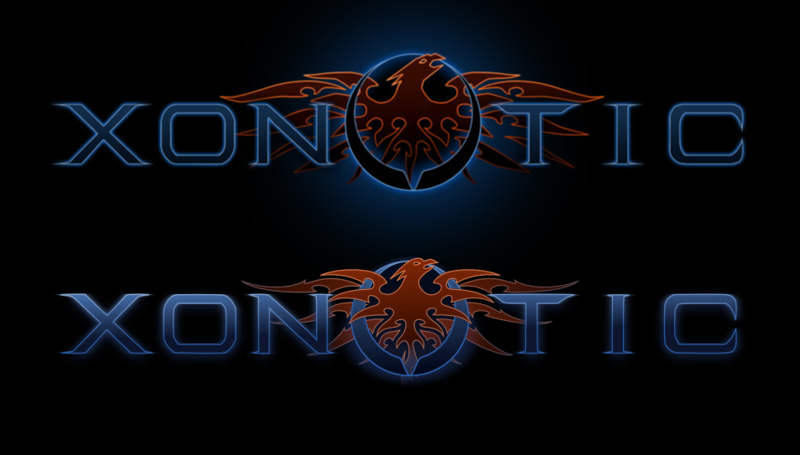 Do you have opinions about how the logo should be refined? What do you like/dislike about the current logo? 1) This is an free open-source game, as such I believe it's important to provide the logo in an open format. SVG is a cross platform vector graphic format that's even supported by many web browsers for viewing. Now that we've begun to draw an audience, perhaps there are artists out there who can help refine the logo while staying true the roots and meeting the technical requiremnts. 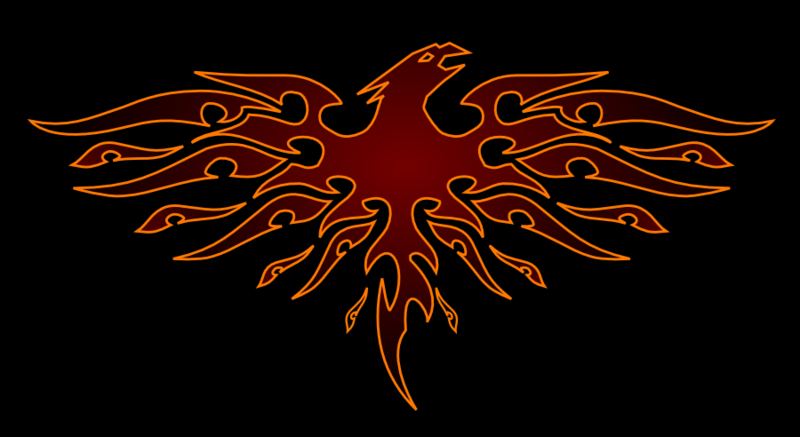 The clipped wing phoenixes look nice, and would definitely complement the current logo. If they were only icon size, I don't think anyone would notice their wings are clipped anyway. I know that "X" already stands for a zillion things, but perhaps an "X" icon may be what's required. Perhaps just an X over the quake ring would do? I'd like to point out a few things, if I may. First, the head of the phoenix was modified after the design which included a bit more of the tail. One of the appealing details (in my opinion) of the original is the way the head was formed. It gives off a powerful, menacing aura... whereas in the new one, it looks a bit more noble and innocent. Noble is fine for everyday apps, but we're talking about a fast paced FPS, in which the objective is killing the enemy hundreds of times in a bloody battle for no more reason than to do so, or to capture a flag and earn ego points. Second, the "O", while it is unchanged for the most part, the glow radius is a bit too large. In the original, the logo stood out with it's eclipse-like glow. Third, the gradient that darkened the phoenix to accent the menacing aura was all but removed. The entirety of the new stages are all far too bright for my taste. I like the last row for an icon, but it has issues as it gets smaller. I think it would be fine to just use the head of the pheonix inside of the quake ring for an icon. Even at the smallest size it would be easy to distinguish and wouldn't look bad at a large size. Just an idea. I do like the later versions where the wings take up more of the logo quite a bit. In fact, I'm not sure if you could make it any better. Same for me, one of the best things I like in the current logo is the head. The clipped wngs for an icon are very nice, but imho the tail should go back behind the O ring. I'm done working on this logo. I've put enough energy into it already and if you look through my pics.nn gallery you'll see how we evolved through a lot of the issues you're all bringing up. The source is available and it's not that much work to play around with the points and try to get a better looking head (I've personally exhausted my attempts). I only care about meeting the technical requirements and preferably fulfill the requests/opinions. I'd appreciate if someone else took the initiative so we can wrap this up. As of now, I'll just be using place holder images while designing the site until I have a more portable logo. Again, this doesn't even have to be the new one, this is just the ground work I did to try and address the issues I've identified above. 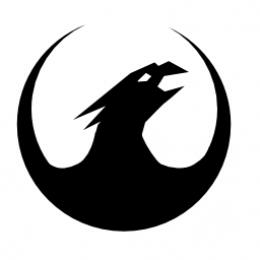 This is funny, i've been designing a phoenix-based icon years before. Maybe the phoenix is a too common motive? Agreed. It simply looks like an abstract icon... or possible a humanoid with wings if you're not paying attention. The point i was trying to make is a phoenix is hard to iconify and there are few ways to make it look good. That means chances are high for different people to make a similar icon. And what should tell people that it's supposed to be a phoenix and not another bird? And there aren't any birds in this game even! (05-19-2010, 09:40 AM)The mysterious Mr. 4m Wrote: And there aren't any birds in this game even! Anyway, I think the pheonix fits quite well, no matter if it's used elsewhere. who wants to refine this or the current logo more based on the criteria I mentioned above? (05-17-2010, 02:49 AM)vbraun Wrote: I like the last row for an icon, but it has issues as it gets smaller. I think it would be fine to just use the head of the pheonix inside of the quake ring for an icon. Even at the smallest size it would be easy to distinguish and wouldn't look bad at a large size. Just an idea. I tried to make a mockup of this, but I have no idea what I'm doing with vector graphics. I think I was still able to convey my idea decently. Obviously it could look a lot nicer, but I think this sort of icon would work very well as a small icon. Looks like a good start vbraun! That's definitely looking good, I think you should try extending the neck down on the icon. That empty space below the neck in the little V there feels wrong. It's definitely a lot stronger than before, but I think that maybe the contrast could be pushed further, in terms of colour, brightness and shape. At a distance I think you're going to lose the O icon. It would be reasonable to work directly on the svg source instead of what you are doing. I actually did work directly from the svg source, but since I didn't know what I was doing, I also didn't bother to save what I did. I was hoping someone with some skill would be inspired and take it up and make it halfway decent. Depending on how ambitious I feel the next few days, I'll take another stab it, unless someone more skillful than me does. 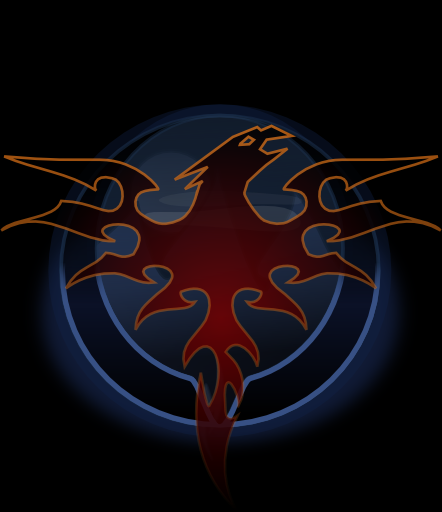 How about combining the phoenix head and quake logo? If there's no "professional" who would want create a logo, I can try to make a real version of this one, though I'm not in any way formally educated in this sort thing, esp. when it comes to print ready versions. Looks too much like the Rebel's logo from SW.
the "simple" ones by sev, are quite nice. Yep, sev's are good. But remind me of "Thundercats" or "Silverhawks" or what those cartoons were. It would be difficult to make the phoenix (red) go well with the quake ring (blue). I don't like the original head at all, it looks like someone set the geometry detail too low. I have uploaded the sources of all my revisions, a lot of the earlier ones give only wing refinements so someone can easily take another shot at the head from an earlier stage. The color changes are really minor changes in the whole scheme of thing because SVG is a markup language with inheritance, meaning that we can literally type in the image source like an HTML document and refine the numbers perfectly on a group of objects that will inherit the color rules. can easily double up as a full logo or an icon with minor changes. if you can't figure it out, that logo is incomplete. I work one wing at a time until I feel the path is correc then I mirror it. I don't think the wing is ready yet.